Mouse anti Human FSH beta antibody, clone INN-hFSH-6 recognizes human follicle stimulating hormone, hFSH, binding to the b3 epitope.  It may be used in combination with INN-hFSH-117 or 132 but not hFSH beta antibodies. Spleen cells from immunised mice were fused with cells of the X63.Ag8.653 mouse myeloma line. Berger, P. et al. (1988) Antigenic features of human follicle stimulating hormone delineated by monoclonal antibodies and construction of an immunoradiomometric assay.